We have archived our news items back till 2002. Our latest news is here. The last thing that you want to do when you take to the slopes on is look foolish on your skis. Much of the fun that comes when skiing can be erased when you spend the majority of your time on your behind or face down in the snow. 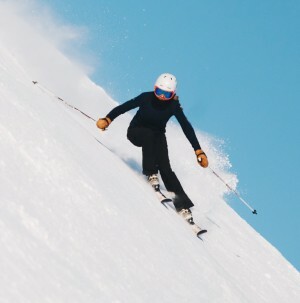 One of the best ways to avoid such snowy shame is to book a few private lessons with a Mt Hutt ski instructor. They can quickly show you the basics, which will help you get a handle on the basic maneuvers that will help you stay upright the majority of the time that you are out on the slopes. There are a number of different options open to those looking to use the services of a ski instructor at Mt. Hutt. Families who live to ski together will love the kid’s lessons that are available. The little ones always have a real thirst for knowledge, and their desire to get out on the slopes with the big kids will have them really paying attention to what the instructor has to show them. Performing the lessons and getting positive feedback is an excellent way to eliminate fear and build confidence. If you are taking your kids skiing for the first time, you really need to consider a few lessons. In a private lesson with Neil, kids may ski with their parents in the same lesson. It’s not just kids that need a little guidance, though, which is why the practice slopes have just as many adults on there as little ones. There are plenty of options available to grown-ups looking to get a little better on their skis, with group and private lessons both available. If you are just looking to brush up on your existing skills, you might not mind getting in with a group. It is generally less expensive than going private, but will obviously not offer as much one on time with the ski instructor as you would get when going it alone. Even if you are an experienced skier, there are still some things that you can learn that will help make you better. The goal of most skiers is to eventually hit the Black Diamond slopes that are reserved for the best of the best. In order to get here, you will need to take your skills to an advanced level, and that is something that generally only comes with experience and some help from a qualified instructor. Each of the aforementioned lessons are available at Mt. Hutt, as there are great ski instructors there just waiting to give you the expert guidance that you need. You can book a spot for a single days of lessons, or you can take advantage of some real savings when you book for up to 6 days. If you are planning on buying a season pass, it might well be a good idea to add several days of lessons, as you will find that your skiing skills will greatly improve as the season progresses. If you want to be the king or queen of the hill, please book your private ski lesson with Neil Parker.